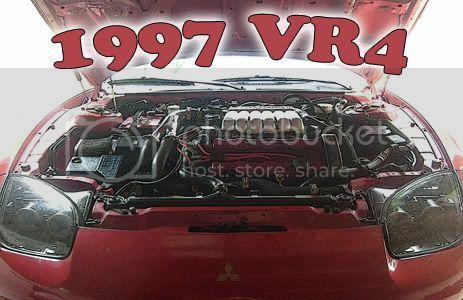 I'm trying to fix a code that a friends 99 VR4 is putting out: the MAP sensor code. I've done some diagnostics on it. The harness is supplying the correct voltage (5.05V) to the MAP sensor. The ground circuit reads no resistance and there is continuity between the sensor and the ECU. When the car is running at idle, the sensor SHOULD read (per the manual) between 0.8V-2.4V at idle at pin #2. The voltage should increase as the gas pedal is depressed. I've tried two different MAP sensors and they both read .06V and maybe go up to 0.1V when I blip the throttle. Could this be an issue with the ECU? It's highly doubtful that both MAP sensors are bad considering one was out of my car. When I was OBDII, I never had a MAP sensor CEL. Vacuum reduction, Powdercoated misc, cruise relocate, Evo9 BOV, Custom catch cans, Russell fuel filter, SS braided fuel lines, High flow fuel loop, Autogage fuel gauge, Catless DP, DNP Y-pipe, Fuel pump hotwire.